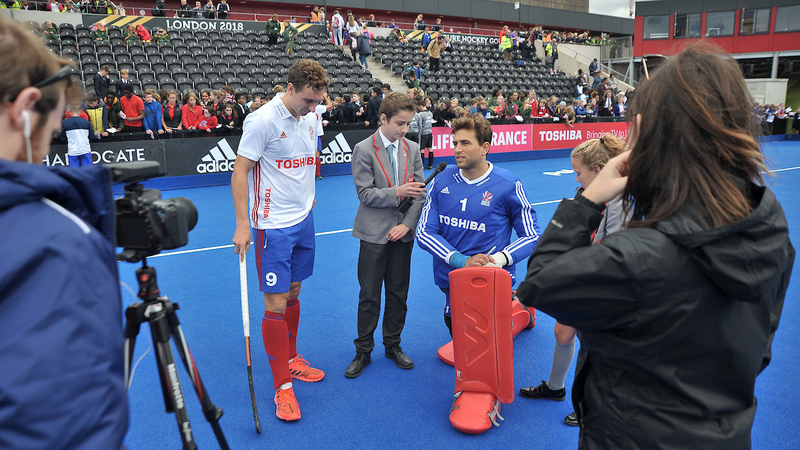 East London Science School and GB Hockey are developing a very ‘special relationship’ it seems. And we are very happy about that. Shortly before the summer break, we went along to a GB Women’s training session and got to meet players, including Captain Alex Danson. 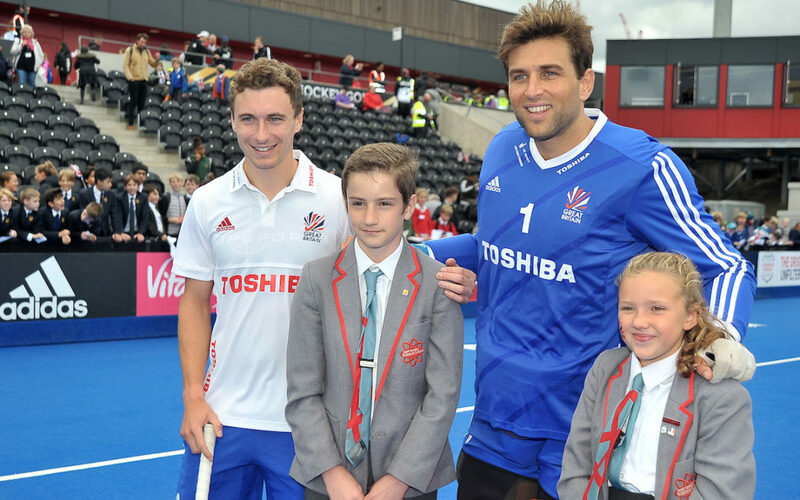 This week we were invited guests at Lee Valley Hockey and Tennis Centre for Great Britain Men’s international match against Belgium – an anniversary match to mark our Hockey Gold Medal at the Seoul Olympics in 1988. 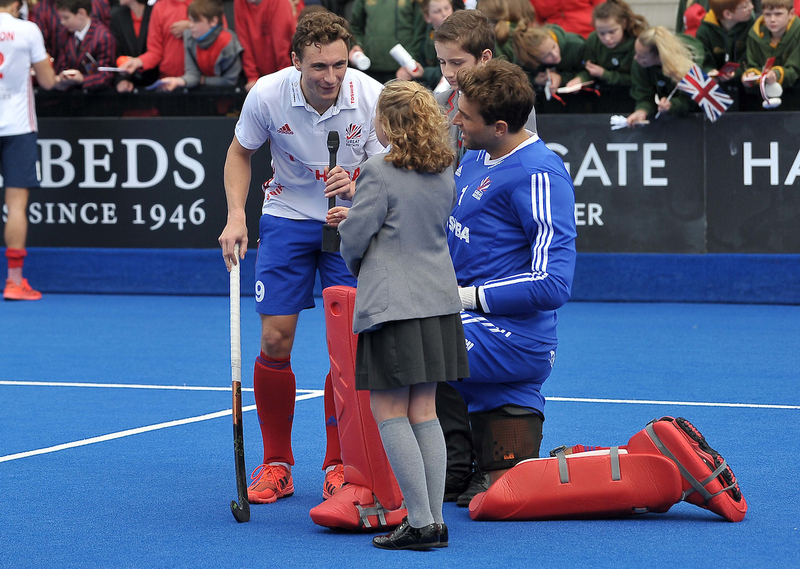 ELSS and pupils from other schools from the area, cheered our Great Britain onto victory against Belgium, and then Year 8 pupils Evie and George were called down from the stands to do the post-match interview with players. And a fine job they did too. Here they are pictured talking with Harry Martin and George Pinner. You can watch a clip from the interview on the GB Hockey Twitter feed. We hope to have a full copy of the inteview sometime soon. 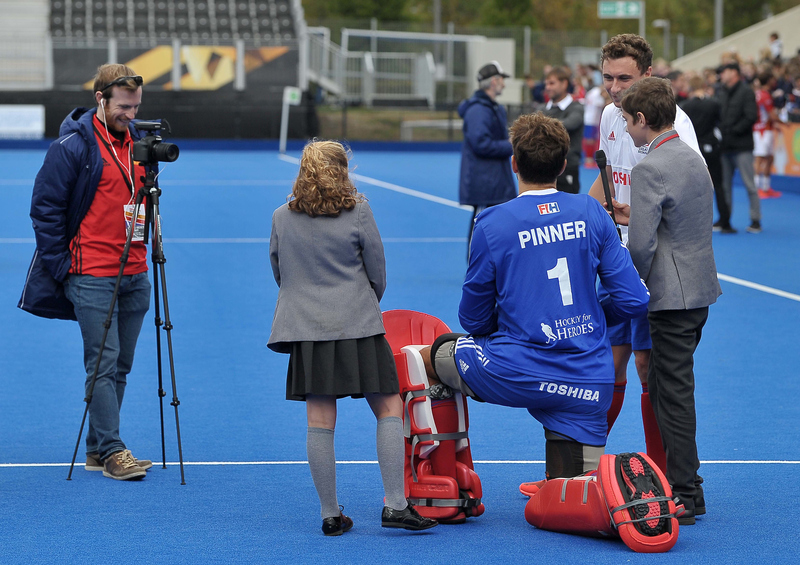 We are extremely grateful to everyone at Great Britain Hockey for their generosity with our pupils, and of course for these great photos the photographs (photographer Garry Bowden).